We carry out regular ecology surveys and habitat surveys right across Sussex and the South East. So we’re very aware of the delays a bat-focused environmental audit can cause to building, repair and development projects. But as expert ecological consultants we’re also aware of how important it is to protect threatened species. Here are a few recent bat-related stories which illustrate the issues behind bat-focused ecology consultancy and the solutions to them. 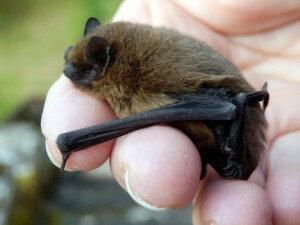 Things weren’t going swimmingly in Aberaeron, Wales, when a project to repair a leaking swimming pool roof was halted because a colony of around forty five pipistrelle bats was living there. Changes to the plans meant Natural Resources Wales had to revoke the original licence until they were certain the altered plans were still legally sound. Thankfully the licence was quickly reissued, which means the work can go ahead. It’s a salutary tale, highlighting the importance of notifying the correct authority if approved plans have to be changed in any way. If your repair or renovation plans have to be amended before or part-way through a project, it’s best to get the changes approved as early as you can. Bats living on a proposed industrial development site in Oxfordshire could be re-homed; another common solution to the issue of balancing conservation with commercial concerns. A colony of common pipistrelles has made its home in the roof of an old farm building and before the animals can be moved to a new specially-built home, a European Protected Species Mitigation licence is needed from Natural England. The cost of moving the bats in addition to mitigating for a nearby badger sett is estimated at £18,000, which illustrates the financial lengths to which Britain is willing to go to protect the threatened species living cheek-by-jowl with humans. In Matlock, Derbyshire, a developer has been found guilty of destroying a bat roost, after going ahead with redevelopment plans without taking the creatures into account. A survey was carried out, identifying the site as supporting long-eared bats, but the man in question ignored its findings and recommendations and destroyed the resting place. The Bat Conservation Trust said complying with the regulation would have cost the developer an extra £5,737, which highlights the fact that the cost of protecting species isn’t always too high for comfort as well as the risks of non-compliance. The man has appealed and the case will be reconsidered in September. How are British bats protected? All British bats, together with the places they roost, are protected by law. Bats are faitful to their roost sites and so the roosts are protected even if the bats don’t use them all of the time. There’s an excellent summary of all the relevant legislation and conventions in .pdf table form, available from the Bat Conservation Trust. You can download it from this page, by scrolling down to the Legal and Conservation Status section – there’s a link just below it. If you’re in or around Sussex and would like to talk about bat surveys, feel free to contact us.